Village Optical (New Hyde Park) - Book Appointment Online! 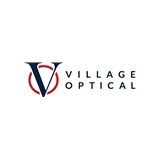 Village Optical strives to be a community business that offers eye care to families and individuals who want honest to goodness products that deliver at reasonable prices. Our staff is friendly, accommodating and experts in fitting and guiding you in choosing glasses and contacts. We appreciate the patients who select us and do everything possible to make sure they are delighted with their eyewear and the time they spend with us. Our Dr of Optometry – Stuart Krasnoff is available 5 days a week by appointment, we welcome walk in visits as well. He is a seasoned and caring Optometrist who can examine for eyeglasses, contact lenses and general healthy vision. He has a specialty in diplopia (double vision) and prism fitting. He partners with a local Ophthalmology practice for all your clinical needs. Dr. Krasnoff is the best optometrist I have ever seen. Highly recommend.